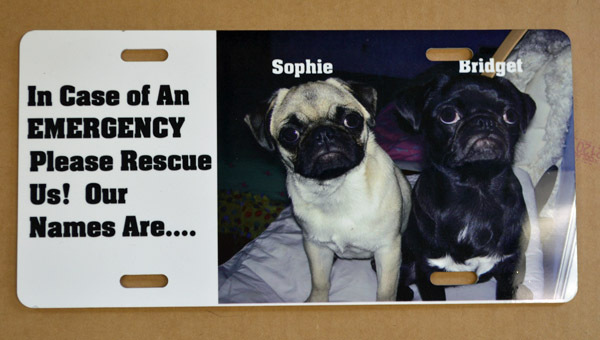 Have a plaque to let the fire department know about your pets. 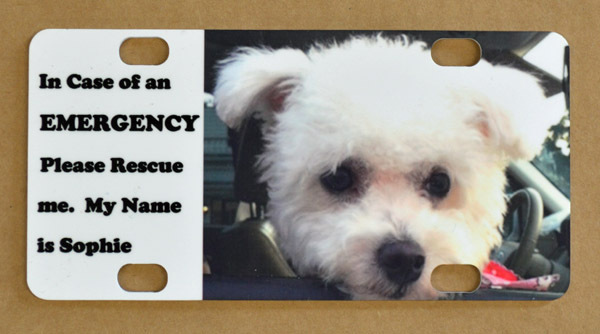 These 6" x 12" (License plate sized) plaques are made from photos and text you supply. 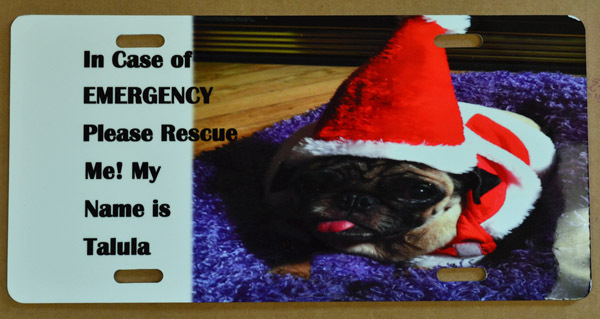 You supply a digital photo (a 300dpi jpeg is best) and tell us what text you want. Call or email for more information and pricing.